of his life. Now the time is right, and the album is finally there. 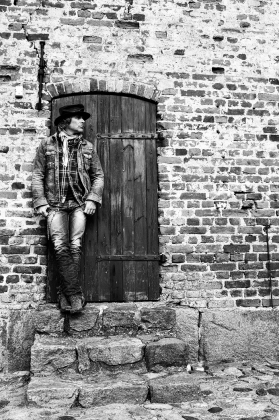 Mike Tramp's new album is available 8th of April this spring. might be in for a big surprise from the former White Lion and Freak of Nature frontman. Tramp says that he is so at home with the new album, and in lack of better words, it’s really like coming home after a long journey that has taken him around the world over the past 30 years. Cobblestone Street, was recorded over a week in Medley Studio, Copenhagen-Denmark in summer of 2012, with just Mike and his good friend engineer/Co-producer and multi-instrumentalist Soren Andersen. Tramp says, he hadn’t really planned to do an album, but one day called up Soren Andersen and said he had a lot of songs that he wanted to hear come out of the speakers. Tramp says he feels that Cobblestone Street, is like a movie, a movie about his own life in great details. Once it ends, you will know who Mike Tramp is. ”Cobblestone Street” will be released in Europe April 8th (GAS territory April 12th) via Target Records in the following formats: CD, limited digipack CD (with 2 bonus tracks), LP and digitally.